On Sunday in the London Review of Books, author Seymour M. Hersh , published as expose alleging that President Obama deceived Americans with his narrative of the 2011 assassination of Osama bin Laden. Hersh accuses Obama of rushing to take credit for the al Qaeda leader’s death. Read the full story at The Hill. An expose published on Sunday alleges that President Obama deceived Americans with his narrative of the 2011 assassination of Osama bin Laden. Author Seymour M. Hersh accuses Obama of rushing to take credit for the al Qaeda leader’s death. This decision, Hersh argues in the London Review of Books, forced the military and intelligence communities to scramble and then corroborate the president’s version of events. “High-level lying nonetheless remains the modus operandi of U.S. policy, along with secret prisons, drone attacks, Special Forces night raids, bypassing the chain of command, and cutting out those who might say no,” Hersh wrote of the Obama administration’s counterterrorism policies. Hersh’s source alleged that the Pakistani government had an active role in approving and implementing the raid on bin Laden’s compound. Bahramand Khan, director of information for the regional Chief Minister’s Secretariat, said at least 126 people were killed and 122 wounded. A group of Taliban gunman attacked the school and murdered children in response to the Pakistan military launching a military offense against them. This is their justification, slaughtering children? At least 126 people, most of them children, were killed on Tuesday when Taliban gunmen stormed a school in the Pakistani city of Peshawar, taking hundreds of students hostage in the bloodiest insurgent attack in the country in years. Hours into the siege, three explosions were heard inside the military-run high school, and a Reuters journalist at the scene said he heard heavy gunfire. 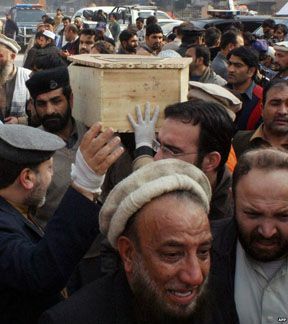 BBC – Pakistan Taliban: Peshawar school attack leaves 135 dead. All six attackers are said by officials to have been killed but the security forces are still checking for bombs they may have left. Scores of survivors are being treated in hospitals as frantic parents search for news of their children. The attack is the deadliest ever by the Taliban in Pakistan. The BBC’s Shahzeb Jillani in Karachi says the militants appear to have been intent on killing as many students as possible – rather than taking hostages, as initially thought. UPDATE I: Taliban-led attack on Pakistan school leaves 141 dead. An assault led by the Taliban on a Pakistan military-run school Tuesday left 141 people dead, 132 of which were children, officials say, in the worst attack to hit the country in years. The horrific attack in Peshawar, carried out by a relatively small number of militants from the Tehreek-e-Taliban group, a Pakistani militant group trying to overthrow the government, also sent dozens of wounded flooding into local hospitals as terrified parents searched for their children. Pakistani military spokesman Asim Bajwa told a news conference Tuesday that 132 of the dead were children and another nine were staff members. He said there were seven attackers, who all wore explosive vests. UPDATE II: Country shuts down today to mourn deaths. President Mamnoon Hussain and Prime Minister Mian Muhammad Nawaz Sharif and other political leaders and people from all walks of life Tuesday strongly condemned the cowardly terrorist attack on Army Public School in Peshawar in which many precious human lives were lost. They expressed sorrow and grief over the loss of precious human lives in the attack. They also expressed deep sympathies with the bereaved families and directed the authorities concerned to provide the best medical assistance to the injured. They also reiterated that such coward attacks cannot deter the resolve and morale of Pakistani nation, adding that operation against militants would continue till the elimination of last terrorist. The prime minister and Khyber Pakhtunkhwa chief minister announced the three-day mourning over the tragedy.The prime minister also called a meeting of all the parliamentary parties at Governor’s House today (Wednesday) at 11.00 am to discuss the situation arising out of the terrorist attack at the Army Public School and College. The sick and reprehensible irony of radical Islam, killing a doctor who was trying to save others … Doctor loses his live trying to save others. Mehdi Ali Qamar, an American doctor was killed when two gunmen on motorcycles shot him dead as he was visiting a graveyard in Pakistan. Dr. Mehdi Ali Qamar was a cardiologist and resident of Fairfield, Ohio. The murdered doctor had arrived in the Punjab province of Pakistan just three days ago to provide free medical cardiac care to heart patients. News travels fast in radical Muslim circles. 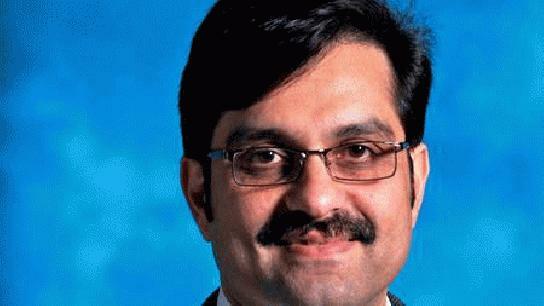 It is reported that Dr. Mehdi Ali Qamar was shot at least ten times at close range. He was killed in front of his wife and son, who thankfully were not harmed. Warning: graphic image of murdered doctor can be seen HERE. A volunteer American cardiologist of Pakistani origin was shot dead in a remote Pakistani town on Monday, in the latest attack which underscored growing religious hatred across the south Asian country. Doctor Mehdi Ali Qamar, who a Pakistani official said lived in Columbus, Ohio, and was visiting a family graveyard in the town of Chenab Nagar in Pakistan’s Punjab province early morning on Monday, was shot by two gunmen riding a motorcycle. He belonged to the Ahmadi sect of Muslims whose members were officially declared to be heretics under Pakistan’s law in the mid-1970s. Qamar was a naturalized U.S. citizen who moved there about 15 years ago but visited Pakistan occasionally for volunteer work, said a senior police official in Pakistan’s city of Lahore, which is the local capital of the Punjab. So why the senseless killing of a volunteer doctor who was just looking to help others? Does radical Islam really need an excuse to kill? “The assassination of Dr. Qamar took place apparently because he belonged to the Ahmadi sect,” said the police official adding that the doctor was in Pakistan to perform medical procedures as a volunteer. The Ahmadi movement is regarded by orthodox Muslims as heretical because it does not believe that Mohammed was the final prophet sent to guide mankind. Army Sgt. Bowe Bergdahl has been missing since June of 2009 when he was captured and taken prisoner by the Taliban-aligned Haqqani network in Pakistan. Bergdahl was 23 years old when he was captured after finishing a guard shift at a combat outpost in southeastern Paktika province. Now a VIDEO has surfaced obtained by the US military that is dated December 2013 that shows American prisoner of war, Army Sgt. Bowe Bergdahl. Stars & Stripes – DOD has new video of US soldier held captive since 2009. The so-called “proof of life” video of Bergdahl, 27, appears to have been made recently, said the official, who would not specify exactly when the material was received or how it was obtained.